I was ready right away to not like The Hunger Games by Suzanne Collins. I’d already seen posters and all manner of advertising fodder for the 2012 movie and had written it off as another teeny-bopper series that was going to get more attention and fame than it deserved (think Twilight, as if I have to say it.) However I needed something to read (can’t be without my “bathroom reading material”) and it looked like a short read at any rate, so I dug in. It’s your typical tale of the underdog struggling in a post-modern apocalyptic-like dystopia. As I intimated above, it is reminiscent of quite a few different tales I’ve read or seen on screen before, only it’s geared, in both writing style and choice of characters, to a “young adult” audience. The story is narrated by the main character, 16 year old Katniss Everdeen, and is told in present tense, which is somewhat of a welcome deviation of the normal first or third person past tense normally employed in most books. It not only serves to keep you in close to the character’s feelings and thoughts, but also makes the ending of the story a bit more ambiguous. After all, if she told the story in past tense, it would be fairly obvious that she had to have survived the “games”. This way, you are not 100% sure where on the timeline she is standing as she tells her tale. This tactic is mostly successful, although being inside the mind of a teenager can be tiresome at times (once was enough, thank you.) I couldn’t help but roll my eyes as Katniss attempted to determine the motivation and feelings of her male counterpart, Peeta, in a series of linear questions posed to herself. Could he…? What if…? Is it possible? Or maybe..? Aside from giving us a blow-by-blow of typical teenage romance woes, it’s as if the author feels the need to spell things out for the audience…and maybe considering the target audience of the series, that was her intention. However, I prefer it when an author gives me a little more credit in my understanding of people and their interpersonal relationships. I’m pretty sure I could have handled it even when I was in the age range of the target audience. However, all in all, it was a much more enjoyable read than I expected. I won’t hold out much hope for the films, as Hollywood always has a way of slicing and dicing books to fit the screen, until they are mere shadows of their former selves. However, I will be reading the rest of the books in the series. Who knows? I might even enjoy them. 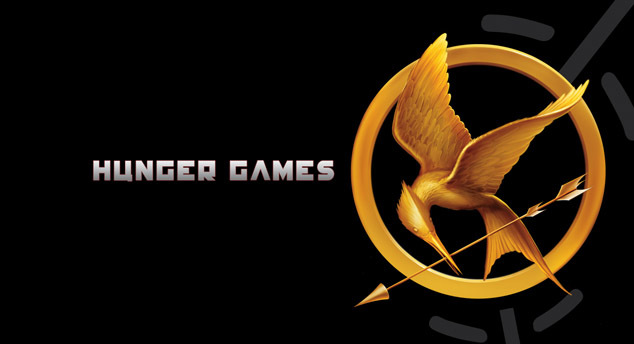 This entry was posted in Entertainment Corner, JustBlog Entries and tagged Battle Royale, books, Everdeen, Katniss, Lord of the Flies, movies, reading, Suzanne Collins, teenager, The Hunger Games, The Running Man, Twilight. Bookmark the permalink. I just finished this book last night. After so many people told me I HAD to read it, I couldn’t ignore it anymore. I thought it was enjoyable and a fun read, and I was eager to learn from Collins how to plot a book so tensely. But I found that after it was over, I didn’t really think about it. I think part of the reason it’s so easy to read is that it doesn’t give you anything to think about. It’s an amusement park ride. All motion and no substance. I also completely agree with you that it’s super-derivative. I’d add Series 7 to those you mentioned above. I don’t think Collins brought anything fresh to this over-done trope. I’d give her points for creating a strong female protagonist, but I think even Katniss is sort of uninteresting if you stop and think about it. She wasn’t really morally challenged at any point. She was physically challenged, but when it came to making tough choices, Collins let her off the hook. I haven’t decided yet whether to dig into the next two books; I have a feeling there are better ways to spend my time. Well, I pretty much agree with you in that she didn’t have too many hard choices, (unless you count the Peeta/Gale conundrum, which you can only ever really appreciate if you have had a strong male friend who you really relied on,couldn’t live without, but could never quite be “in love with”.) which is just teenage crap, like I said. LOL. She really didn’t have to even kill anyone if I remember correctly, at least not in any way that wasn’t self defense. And when she does eventually kill someone, she never has to internalize it as a struggle or ‘deal’ with it in anyway. Like taking a life is easy-peezy! But the second book was more rewarding in terms of plot, I think, even though she Katniss still seemed to be more carried along by the plot than actually causing any change intentionally. If you have a spare few, I’d read it (bathroom literature!). On a high note, her inner monologue is a trifle easier to deal with in this book… LOL. Not QUITE as juvenile. Thanks for your thoughts! Oh, and I’m now a few dozen pages into the third novel and Katniss how JUST, for the first time I can remember (as I mentioned in my other comment) acknowledged that she has ANY feelings about having to kill people. It took three books for this to happen?? ?